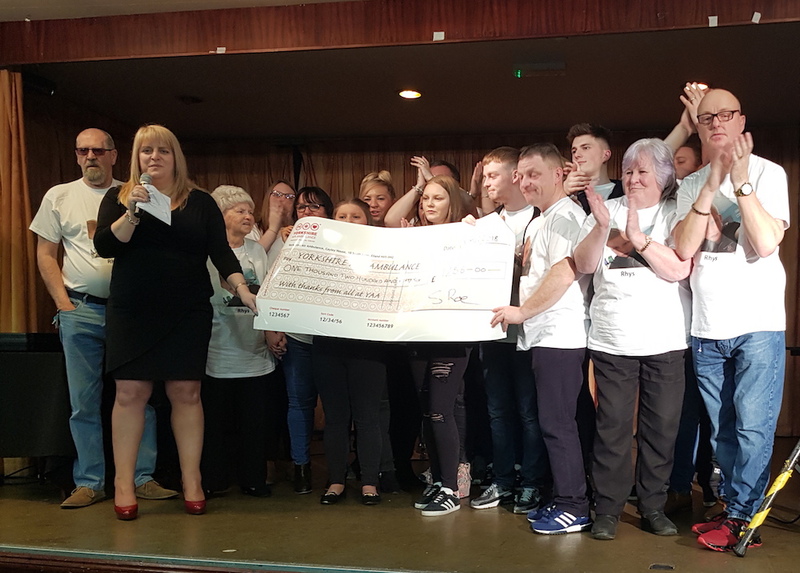 The Holbeck (formerly Holbeck WMC) held a charity night on Saturday 10 March 2018 raising £1,320.30 for the Yorkshire Air Ambulance. Lots of members wore a t-shirt with a picture of Rhys on the front and the Air Ambulance logo on the back. There was a name the teddy competition which raised £360. The winner was a gentlemen called Nick (on left of the picture). He gladly donated it back so it was auctioned off and it raised for a further £140, thanks to Tony Carver from AC Auto Locksmiths. The raffle raised over £400, there was bingo and entertainment. Tracy from the Yorkshire Air Ambulance gave a speech explaining what the charity does. The club will be holding this charity night every year, so if you have anything to donate please contact The Holbeck.